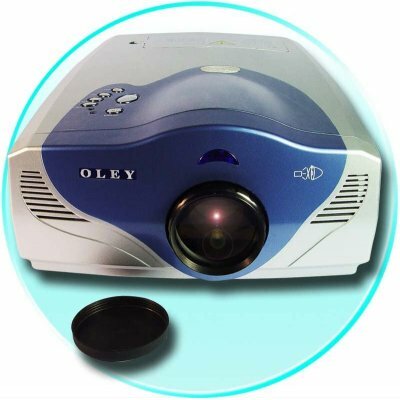 Successfully Added Wholesale Home Theater Projector - Multimedia Projector to your Shopping Cart. Home Theater Projector with multimedia capacity for sale at below wholesale prices direct from Chinavasion. If you want to play Video Games, watch DVDs, or even use your computer on a screen of 90+ inches at very high resolution, but really don't want to pay the price that large screen TVs require, this is the product you have been waiting for. Featuring AV/ TV/ S-Video/ VGA In means that every form of media that you want can be displayed easily and in great definition. Added to this, you are getting a bulb that averages a 6000 life-span, a cooling fan that will prolong the life of the bulb, and even an alarm to warn you if the Projector is getting too hot or the fan is not working correctly. This is a great addition to any home entertainment system, and up to 200 Inches of pure video power are available to you at only a fraction of the cost Large LCD Screens would cost. Note:This product uses 210~240V AC power. Please check your power supply before you purchase this item. Currently all Chinavasion projectors take the same model high-powered bulb. Click here to order spares / replacements. is realy good projector in very cheap price,put it again to your catalog.